The Miami Dolphins understand that some folks would rather watch the game from the confines of their own home than see it live in person. Which is why they’ve decided to give people the best of both worlds. Just think — all fans have to do to upgrade their at-home football viewing experience is head to Sun Life Stadium and pull up a chair in one of their luxurious suites. While it seems a little bit over-the-top to us, the organization told ESPN’s Darren Rovell that they believe some people would love this opportunity. Speaking of which, how much will it cost to put your feet up in one of these “living rooms,” and what kind of bang will you get for your buck? The Dolphins are selling each “living room,” in packages of four for a standard price of $75,000. Within each of these areas, there will be a 30-inch wide recliner, and three different types of television options. Patrons can choose from having an 18-inch TV in front of each seat, a 32-inch TV in front of every two seats, or a 32-inch TV in front of each person. However, the latter two options will run you an extra $15,000 and $30,000. Not only that, but the deal includes food, drinks, and access to a lounge. Talk about a watching football in style. How could you not want in on this? 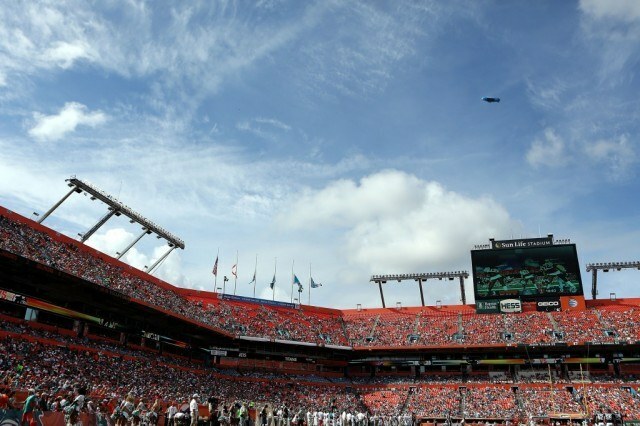 Since the renovations are being privately funded, and Sun Life Stadium’s capacity will be shrinking from 75,000 to 65,000, it is believed that this new offer will be a way of helping the organization pay back those costs. But don’t think about this as spending a lot of money to see the Miami Dolphins play in person. Think about it as spending a lot of money to bring your living room right into the stadium for the perfect viewing experience. 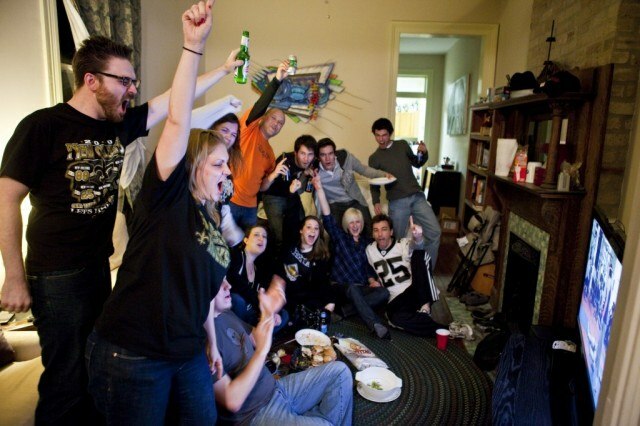 After all, what’s $75,000 for the chance to watch a football game from a couch that’s not yours?